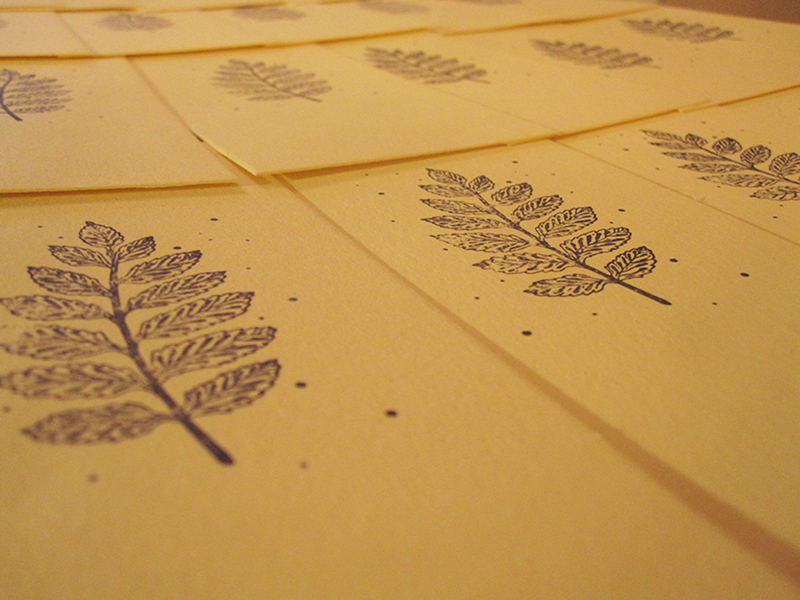 Meet Erin Fae, a self-proclaimed dreamer and printer. 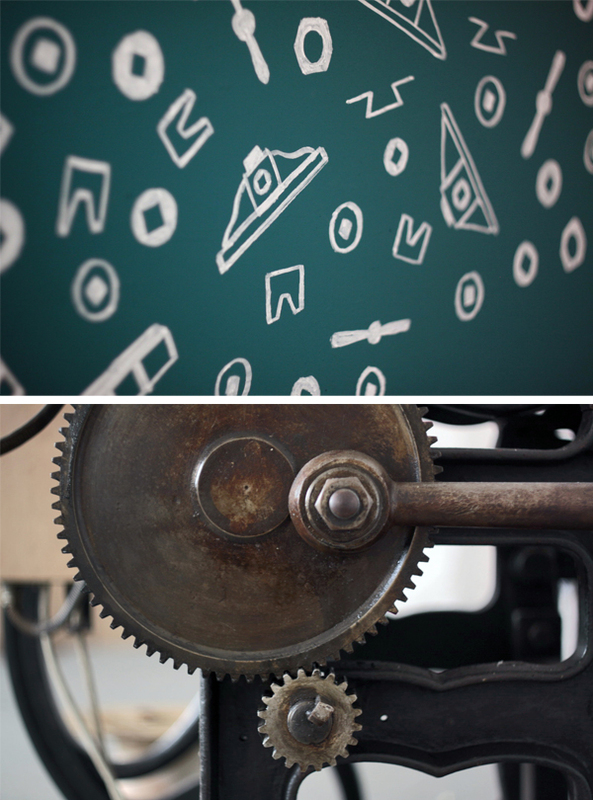 Last year, she dreamed of putting a new spin on letterpress. 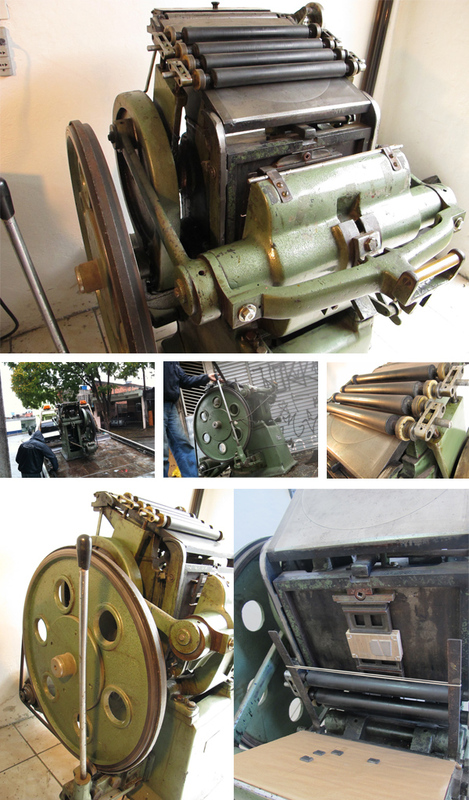 With visions of a traveling tabletop press and a new set of wheels, the Press Cycle project began. Erin explains how her idea took off with the help of others who shared her slightly unique vision. 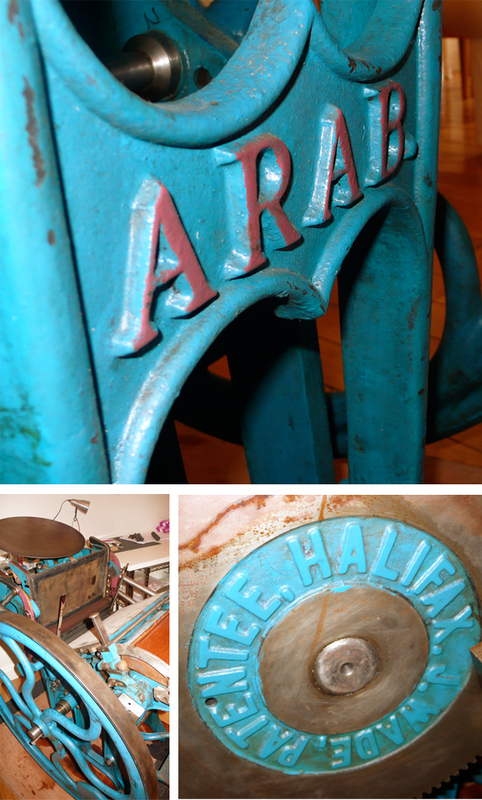 In 2013, I bought an 8×5 Adana on Trade Me from a woman in Christchurch, New Zealand. 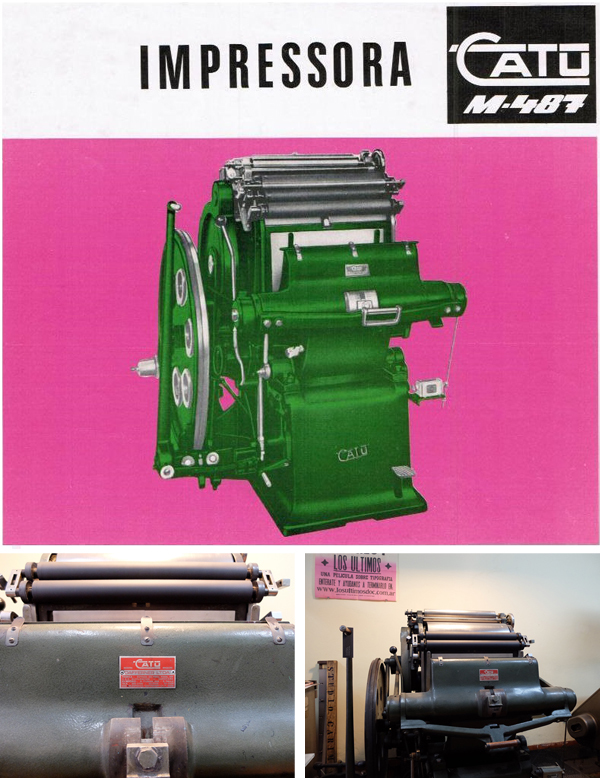 She was so excited that the press would help teach people printing at Alphabet City (the community art space I used to run) that she offered me a bonus press for free: an Adana 5×3. 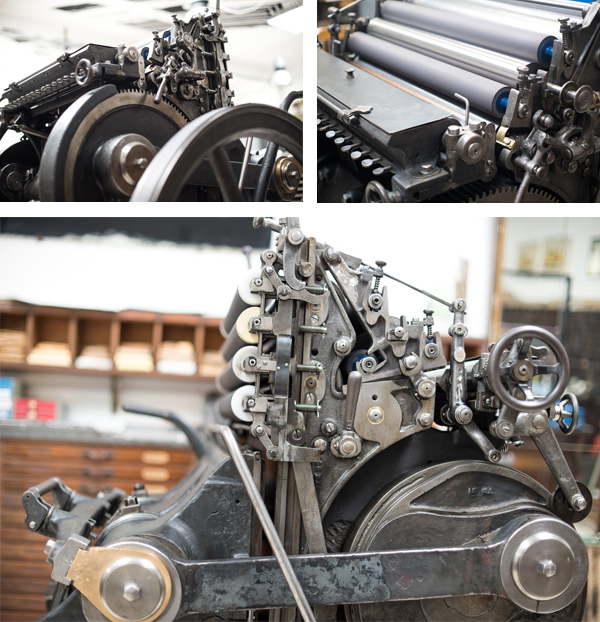 As soon as the small press came into our lives, I knew this gift presented an opportunity to be able to share letterpress printing with even more people than those who wandered into our studio. I was returning to my beloved home of New York City for the summer of 2014. 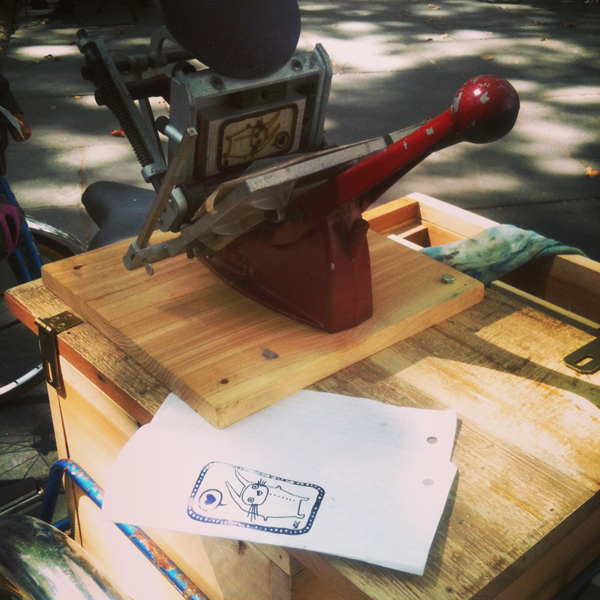 I knew I wanted to run a portable print project that would take letterpress printing outdoors and into various communities. 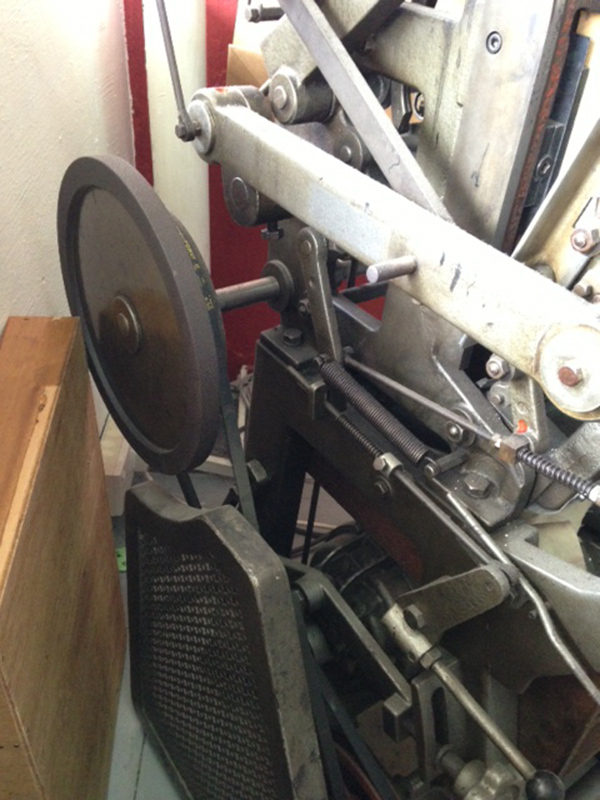 I wanted to expose as many people to letterpress printing as possible and find a way for people who had never heard about letterpress to try it out. 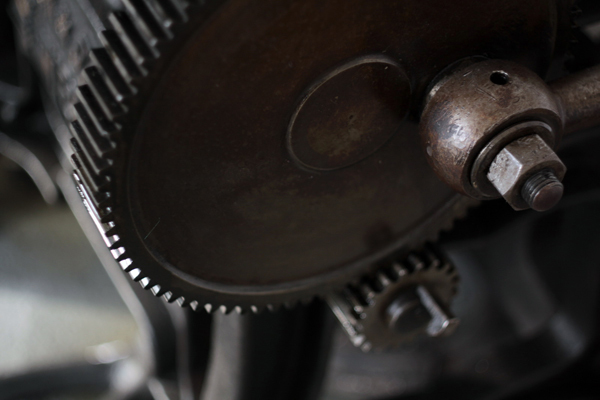 The dream came to fruition with the help of Press Cycle Kickstarter and over a hundred backers. 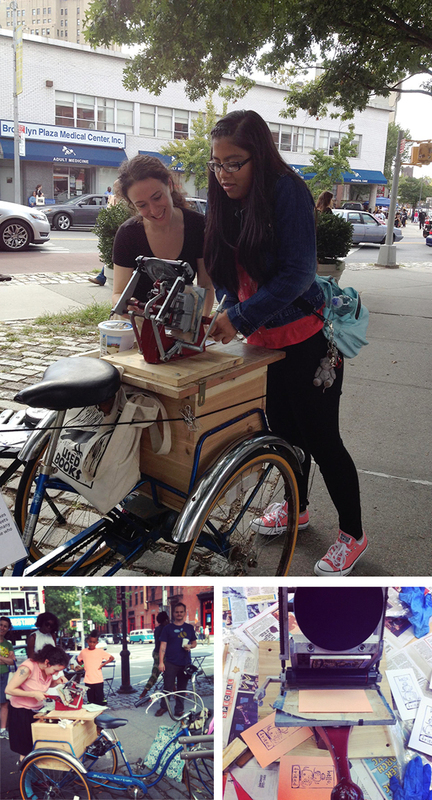 I called the project The Press Cycle: Letterpress on Three Wheels. Running the Kickstarter meant I was able to purchase a vintage Schwinn Tri-Wheeler adult tricycle and outfit it with a custom box (built by the super talented folks over at Nightwood in Brooklyn that converted the tricycle into the mini studio). I had originally thought that the project would use magnesium dies for printing…and had started an order when I got a pretty magic phone message. When Boxcar told me that they wanted to donate a base and a page of plates, I was beyond thrilled. By nature, I am every shade of enthusiastic: I had a solo dance party in my borrowed Brooklyn apartment. This wasn’t just because the donation helped the project immensely, but because the Press Cycle is all about collaboration. I wanted every stage of the project to be about collaboration and community, and teaming up with Boxcar meant this was evermore true. The project wrapped up in September. 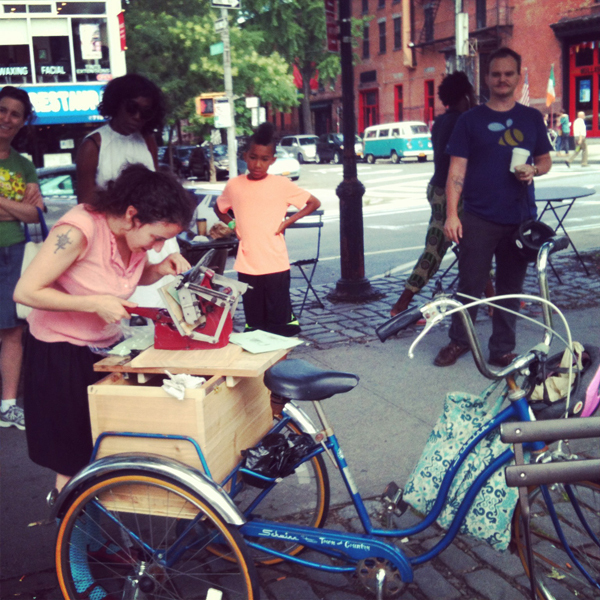 How did The Press Cycle go on the slightly more inky streets of New York? I think it went marvelously. I said from the beginning that even if one person learned about letterpress, all the work would be worth it. 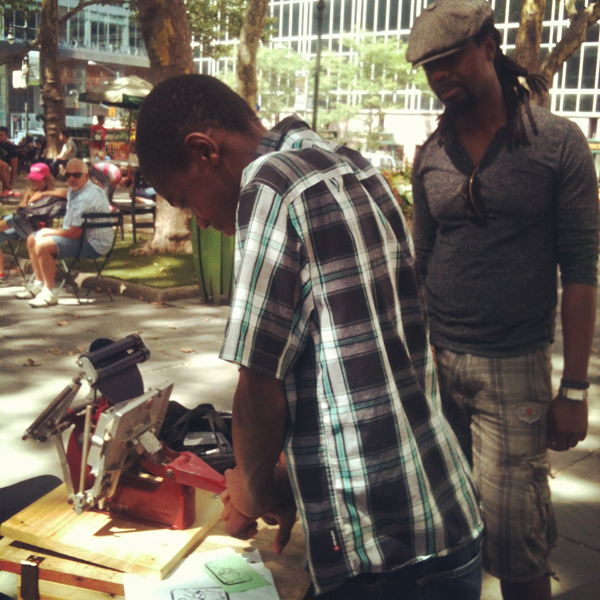 By the end of the Summer, not one person, but hundreds of people in different Brooklyn and Manhattan neighbourhoods got to try out letterpress printing. 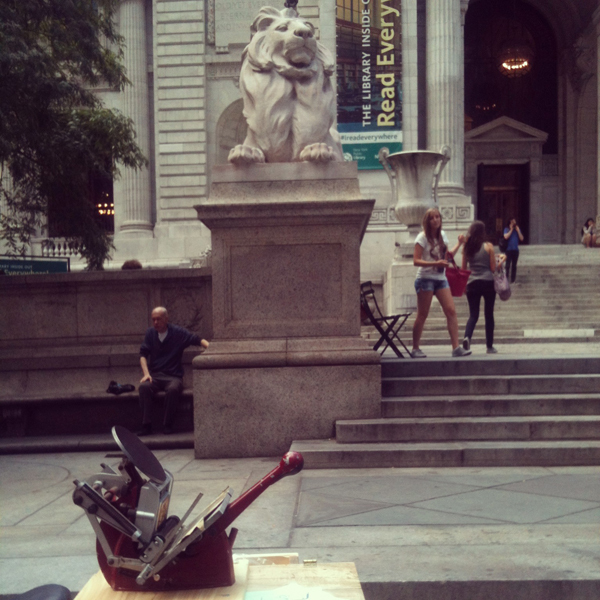 We even took the press to the Greenpoint branch of the Brooklyn Public Library for their Greenpoint Handskills workshop. I love teaching printing and one of my favorite things in the world is watching people pull their first print. Even if they’ve watched someone else do it, even when they know what is going to happen, doing it themselves is always a wonder. 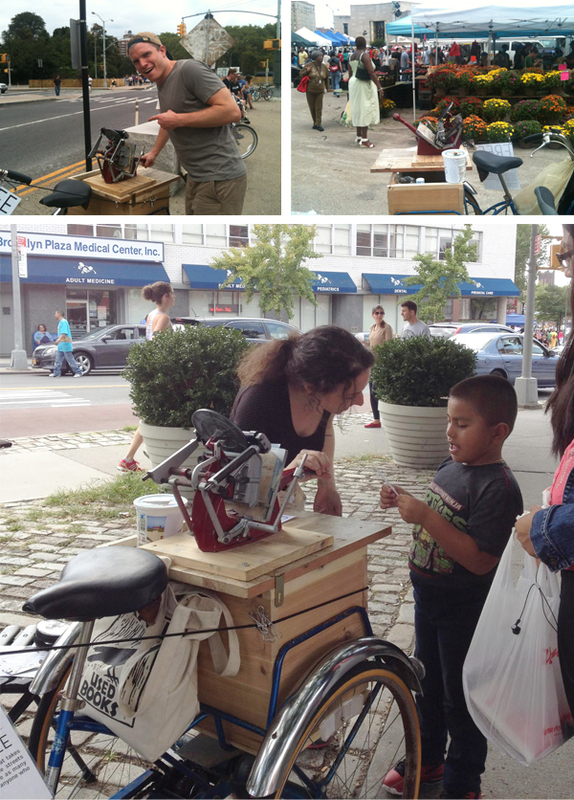 One woman told me that she needed something to make her day and that the Press Cycle did it. An older man in Brooklyn told me about how he printed on a hobby press in high school. 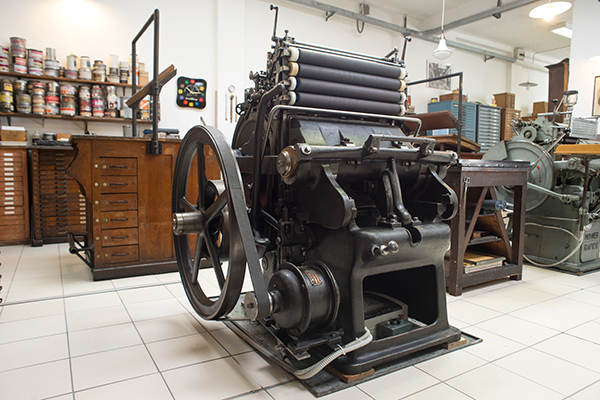 Young children were especially amazed at the instant nature of printing, that they could pull one lever and make an image—no waiting for something to come out of a machine; they had the power to do the work. I handed out pamphlets to anyone who printed since most people didn’t have time to hang out and chat. 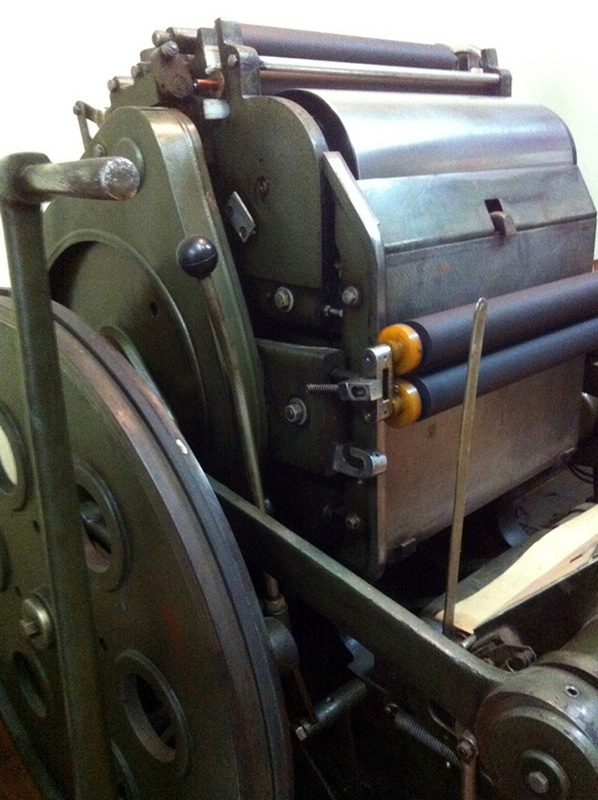 I wanted everyone who encountered the Press Cycle to know that they were helping keep letterpress printing alive and are part of a long lineage of printers, even with just that short encounter. All printers matter. 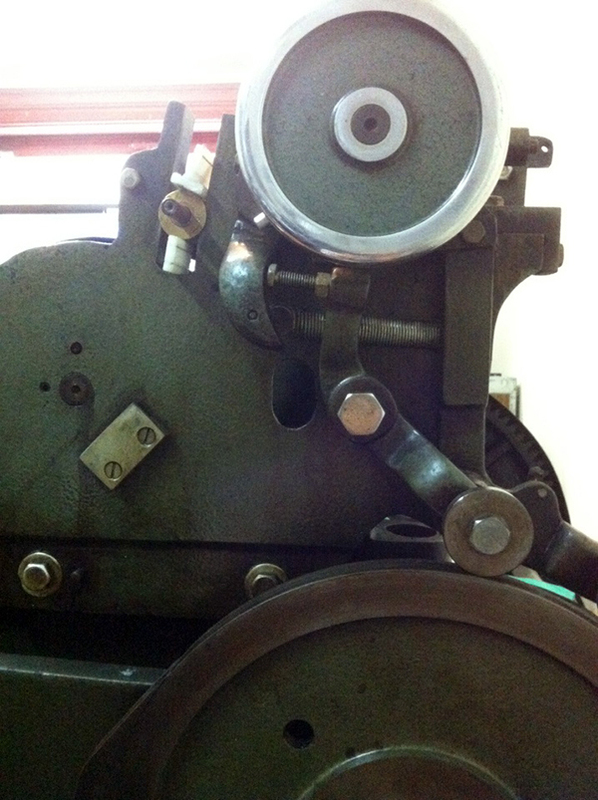 I hope that some of the folks who tried letterpress for the first time went on to learn more about printing. Who knows? Maybe someone will take a class, maybe someone will one day have their own press. It wasn’t all roses. Before I put up a giant laminated sign that said “FREE (Yes, really)” it was sometimes hard to lure people into printing since New Yorkers were suspicious that I was selling something. Also, I was somewhat limited by being a human. I didn’t have the power to wheel the 100+ pounds of Press Cycle as often as I would have liked, and needed to give my body time to rest and recharge. What was always amazing was the community that came together around this project. I collaborated with various artists to make the images for the plates; Boxcar’s amazing donation; the enthusiasm of letterpress printers online and off; and the amazing backers on Kickstarter. People coming together around learning and creativity is always humbling and wonderful. I feel grateful that I was able to lead a project that gave so many people a peek into the world of printing and how letterpress works. 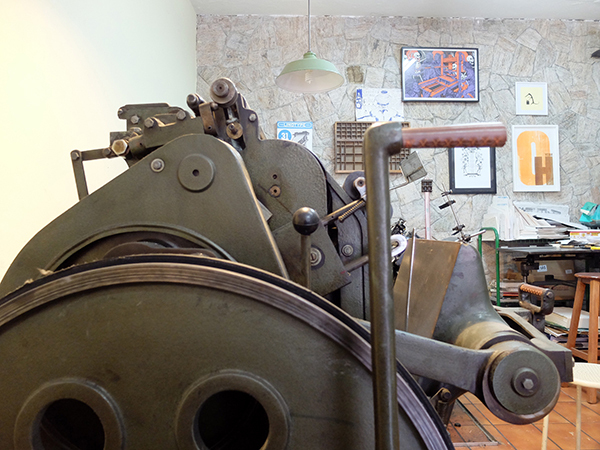 Plunked down in the vibrant heart of the entrancing Hungarian capital of Budapest (and a easy stroll from the Danube River) sits the thrum and hum of the Absoloot printshop. 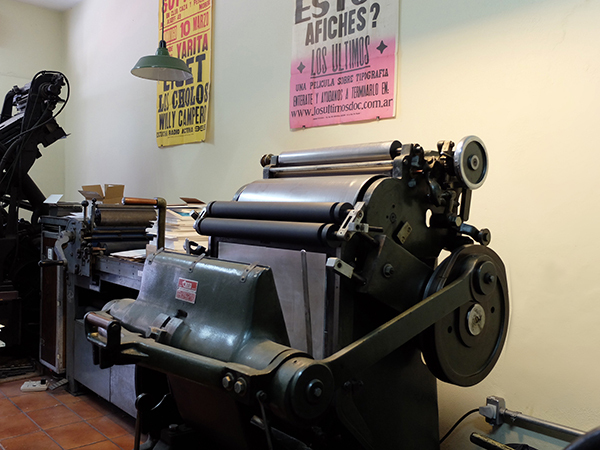 The sunny, spacious shop houses laughter, good cheer and a heaping dose of the ever-alluring smell of ink and paper. Andrea Hermann, one of Absoloot‘s founders, shares with us stories about the true worth of a good night’s sleep and the irresistible appeal of paper & design. 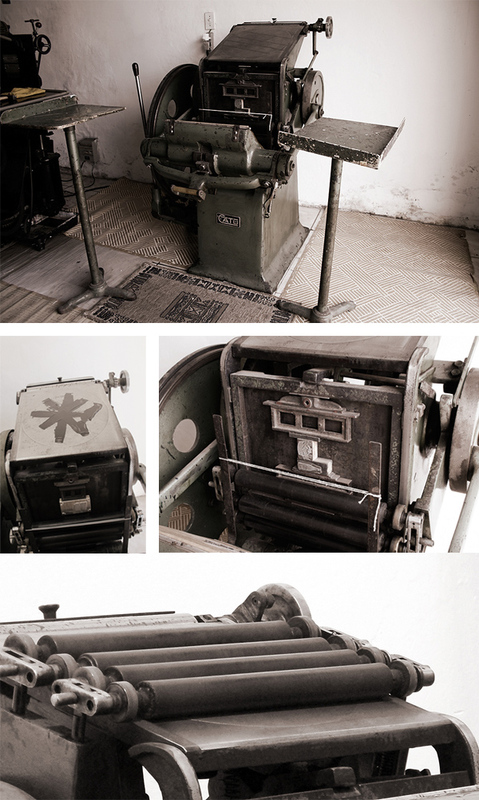 PRINTING HERITAGE We are two gals, Judit & Andrea, who live in Budapest, the capital city of Hungary. 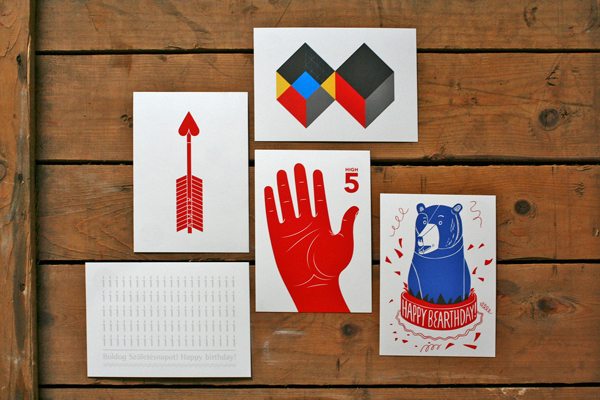 We love paper, we love design and in 2011 we thought about starting our own business involving paper & design. That’s how Absoloot was born. 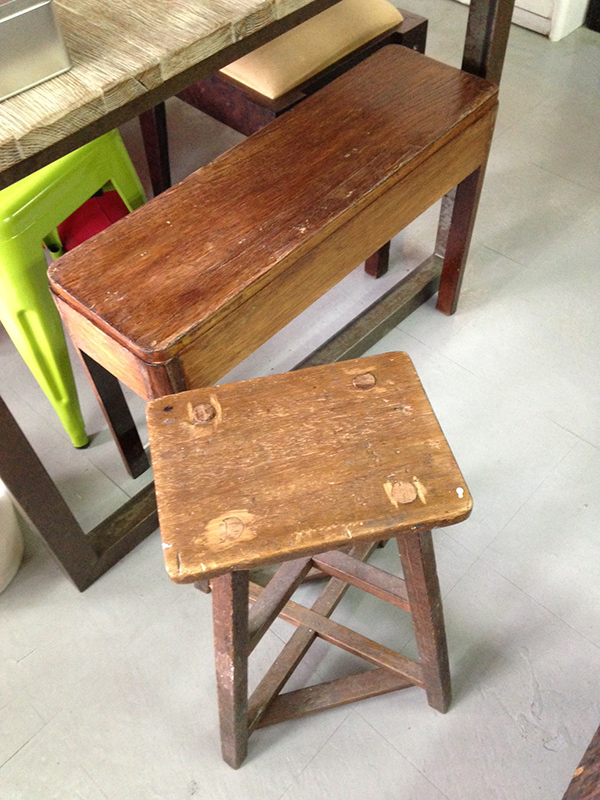 We wanted to work with talented young artists, so we emailed and invited them to participate in our business. They receive a percentage of our sales, so you are an investor in their future with each purchase. IN THE BEGINNING We believe in everyday luxury that you can feel. 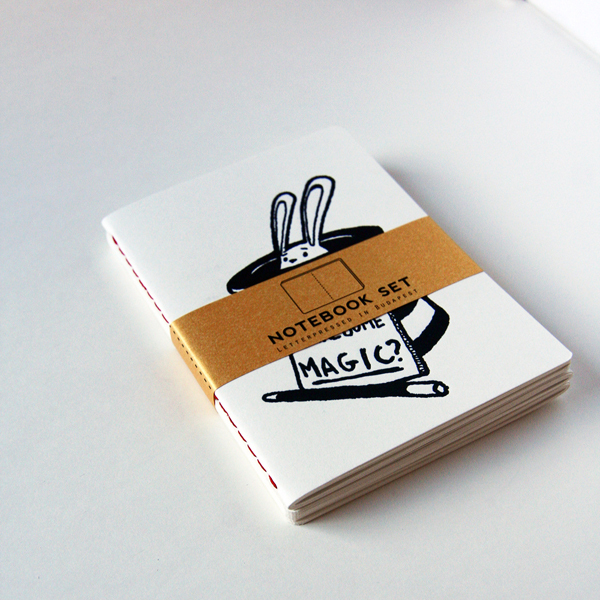 We bought an Adana table press for our first range of notebooks, but then we found out it would be too small for our ideas. 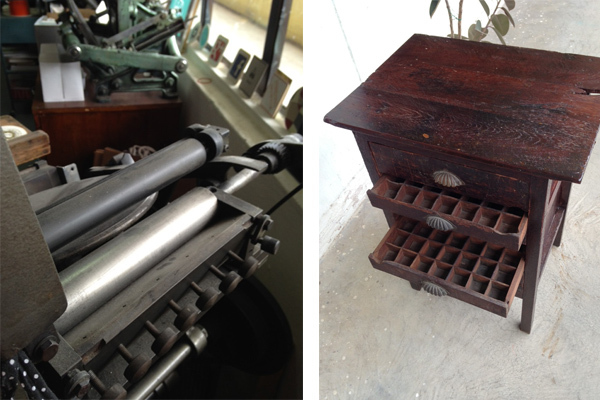 Then we got to know some letterpress printers over here – there are only a handful. 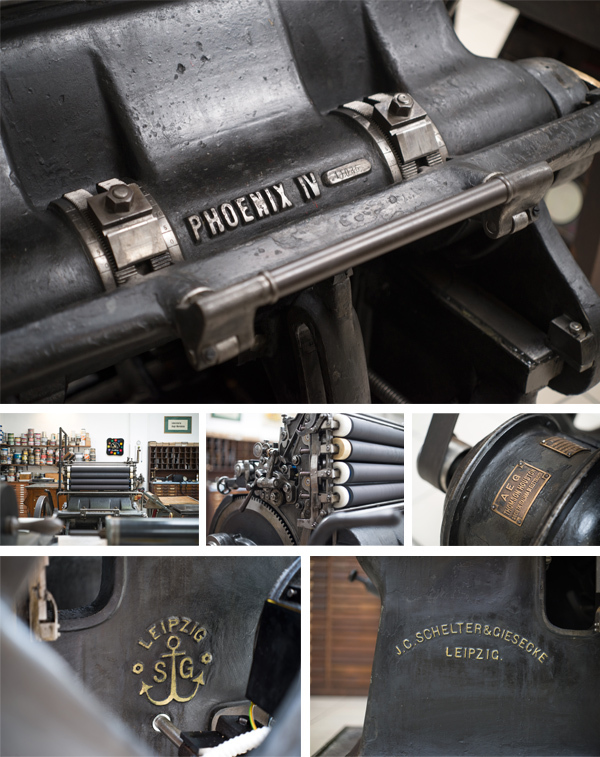 One of them is an avid collector of these machines and he sold us a more than 100 years old Joseph Anger und Söhne platen press. We had to renew her a bit and still need newer rollers, but it’s awesome! 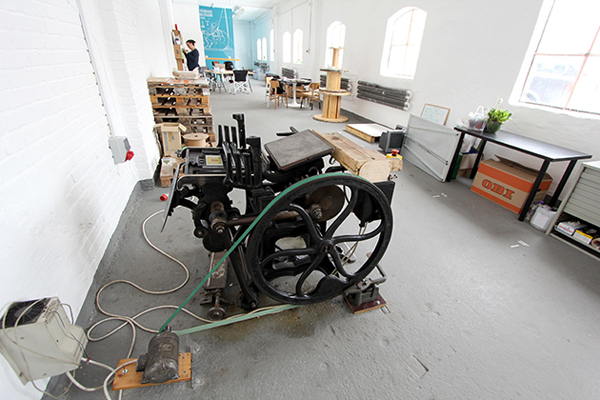 HUNGARY FOR LETTERPRESS We have a nice studio with an industrial feel to it. It’s more like an office where we work on computers, but of course our printing presses have their own corner (we do everything ourselves, unless the job requires different machines or higher volumes) and this is where we hold workshops or exhibitions, since it’s quite spacious, more than 100 square-meters. We love to work for others, to create a nice design and fulfill customer orders, but the focus is on the products of our own brand. DESIGNED FOR PRINT We are working with a bunch of young, talented designers and illustrators from Hungary and Europe, so we can always help out a customer with the design. We send out the project to our friends and anyone who’s interested sends us a price and some references and the customer can choose from them. It’s a good opportunity because you have multiple choices. FULL TIME FUN Yes, but we do a lot of other things, too… Organizing workshops, exhibitions, designing our products, going to design markets and so on. PRINTING FEATS We haven’t really advertised ourselves, yet we’ve got very good reviews from our customers and thanks to this word-of-mouth, inquiries are coming in from all over the world! Our products are starting to gain international recognition, so we’re actually looking for an investor to work on expanding our business. SHOP TIPS Well, we’re beginners, but if there’s one thing we’ve learned: if you’ve been trying to set up the press for hours in vain, that means you’re tired and you should stop trying and get back to it after a good night’s sleep. 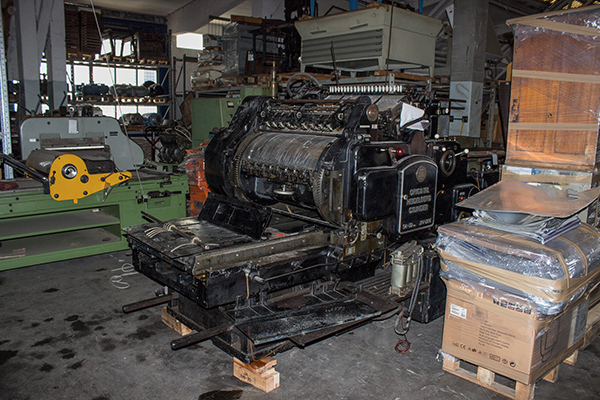 WHAT’S NEXT Workshops and a series of exhibitions, finding an investor, expanding our brand worldwide, hiring new colleagues and interns and getting new machines for the print shop. 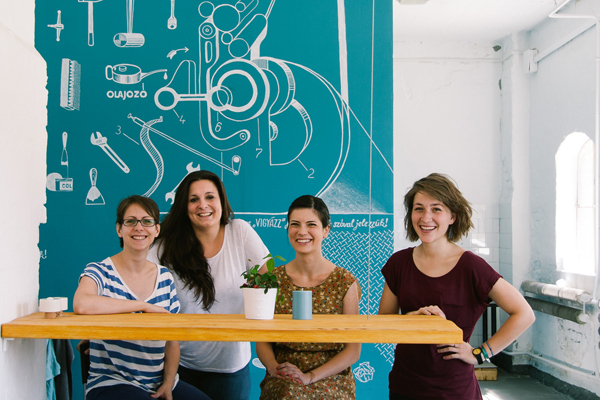 Big round of thanks out to Andrea, Judit, Juci, & Reni for letting us get the skinny on the fine presswork of Absoloot!